Posted on 10, August 2016 by EuropaWire PR Editors | This entry was posted in Aviation & Aerospace, Defence, Poland, Security & Safety and tagged FlyEye, logistic support, NSPA, Polish WB Electronics S.A., unmanned systems. Bookmark the permalink. 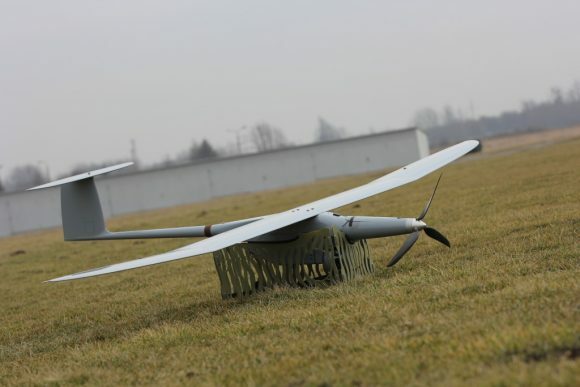 Ożarów Mazowiecki, Poland, 10-Aug-2016 — /EuropaWire/ — Under the signed agreement, comprehensive logistics service systems UAV FlyEye, being the equipment in the Polish Army, will be carried out by the NATO Support & Procurement Agency. This agreement also opens the way for logistics service of FlyEye systems which could be in service in the other allied armies in the future. As part of the contract with NSPA, WB Electronics will provide spare parts, ongoing repairs and maintenance of technical systems of UAV FlyEye. The signed agreement also includes a full training package. Signing an agreement with a specialized agency of the North Atlantic Alliance is the confirmation that WB Group meets high quality standards applied in NATO. Thus, the WB Group has joined the small group of the Polish defence sector companies cooperating with NSPA.